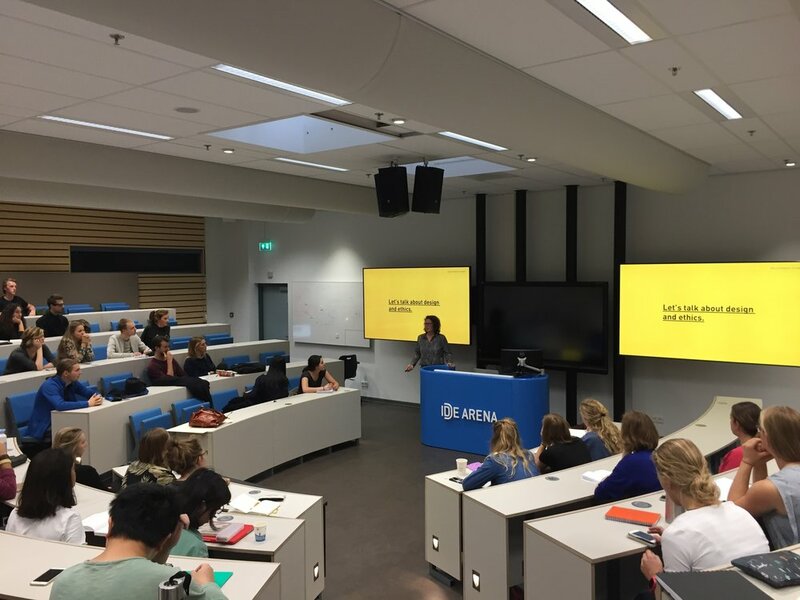 As part of my work as Design Ethics coordinator at the TU Delft I was asked to host a full-day workshop on design ethics. A group of 90 eager master students signed up to participate. We started the day with a lecture on design ethics and the Ethics for Designers toolkit. During the morning the students did an exercise with the De-scription tool in which they analysed products they use on a daily basis. This served as a warming-up and quickstart to get the students talking about ethics. After lunch students formed groups and got to work with Moral Agent; the ethical ideation game. Although it took some time to understand the game, the students were very engaged in both the game and the ethical discussions. Throughout the day there was a great energy! Students busy generating ideas with moral values as design inspiration. Students raise their hand if they would accept a design brief. This triggered a discussion about a designer's responsibility and personal values.